Product information "TIGI Catwalk Session Series Salt Spray 270ml"
Create beachy texturized waves; bohemian braces and dishevelled layers with the Catwalk Session Series Salt Spray from TIGI. Inspired by those summer months this salt spray is ideal for creating long-lasting and instant volume without the frizz. Apply to wet hair to add body or dry hair for tousled texture. 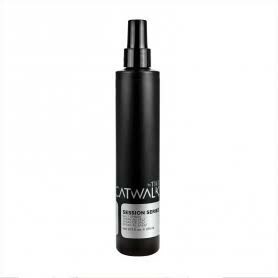 Related links to "TIGI Catwalk Session Series Salt Spray 270ml"
Customer evaluation for "TIGI Catwalk Session Series Salt Spray 270ml"